Intel is planning to release a new motherboard by the weekend based on the Z77 chipset. This time however, the board packs a new feature on board which is Intel’s Thunderbolt. 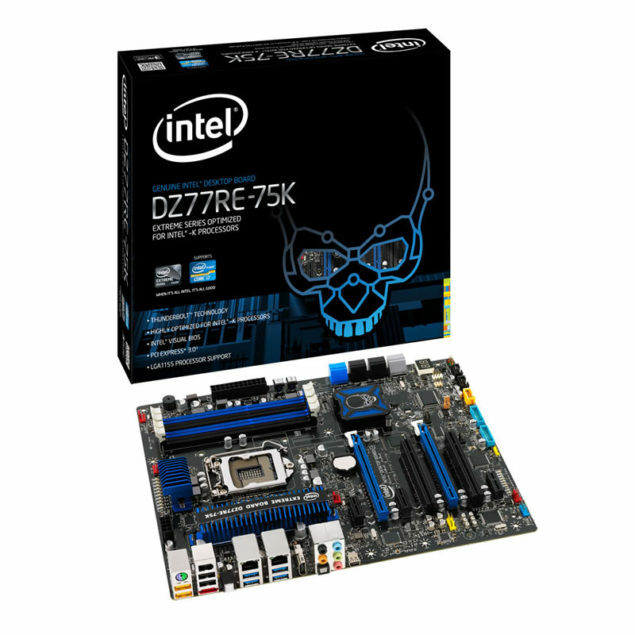 The motherboard namely the DZ77RE-75K has been optimized for Intel K series processors based on the LGA 1155 socket for extreme overclocking as well as features 2 PCIe 16X slots, 2 PCI and 3 PCIe 4x slots respectively. The board also comes with Intel’s ‘Visual BIOS’ or better known as the UEFI BIOS setup. The release of the board is expected to be around the end of the week as our sources confirmed. Price wise, the board will be available on retail for around 355-350 USD.